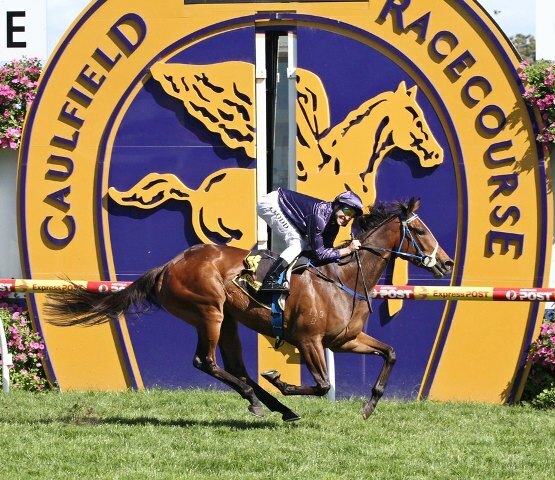 CRACK filly and odds-on favourite Atlantic Jewel did not disappoint connections in the Group 1 One Thousand Guineas (1600m) at Caulfield today. The Mark Kavanagh trained 3YO was born and raised at Vinery Stud in Scone and went into today’s Group One feature undefeated in three lead in runs. Vinery Stud part-owner Greg Perry purchased the Zabeel mare, Regard (with Atlantic Jewel in utero), via leading bloodstock agent Steve Brem at the Magic Millions National Sale in 2008. The subsequent filly foal was born at the historic Segenhoe Valley nursery on the 26th of September 2008 and was subsequently sold as part of Vinery Stud’s 2010 Magic Millions Yearling Sale. Purchased by Coolmore Stud for $320,000, Atlantic Jewel remains undefeated and has now won close to $400,000.